As early as 10,45 € month financing with a maximum maturity of 18 months; total amount 188,10 €; Bound annual borrowing rate 5,74 %, effect. APR 5,90 %. These figures are also the representative example in the sense of §. 6a paragraph 4 PAngV Agencies are exclusively by BNP Paribas S.A. Niederlassung Deutschland, Standort München: Schwanthalerstr. 31, 80336 München. 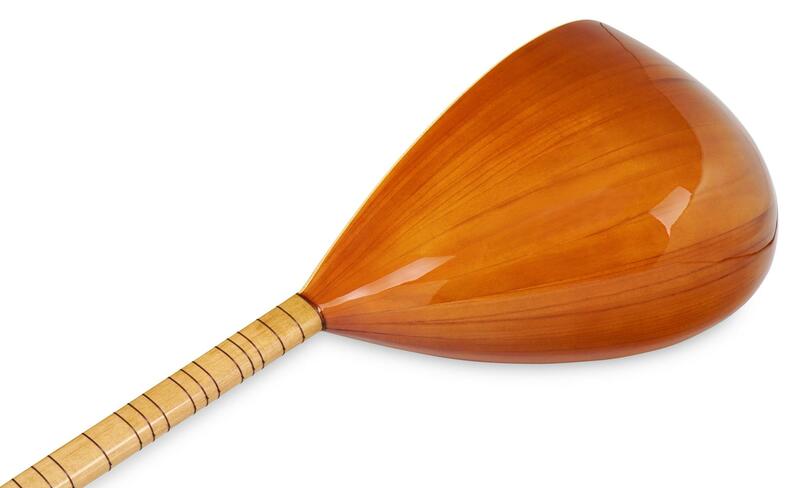 The ideal instrument for beginners in the world of oriental music! Classic Cantabile "goes oriental" and presents the "Oriental Series" instruments from the realm of 1001 Night. It has elaborate handiwork with great care for the details. 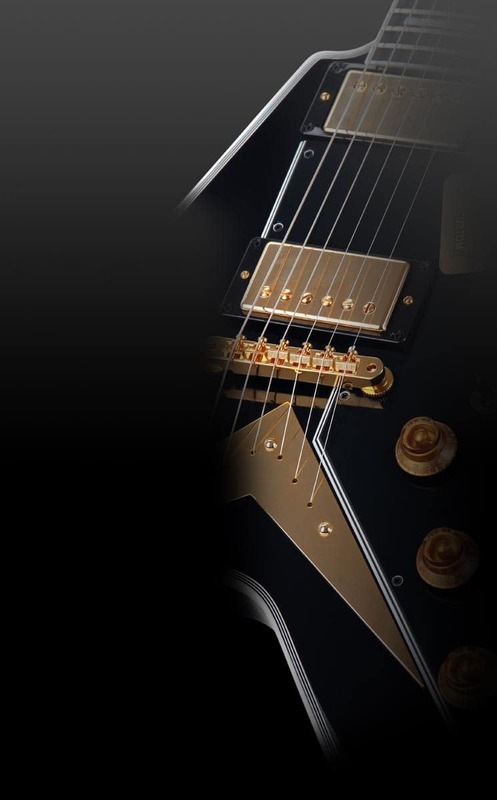 The sound of the instrument will meet the expectations of both beginning and advanced musicians. 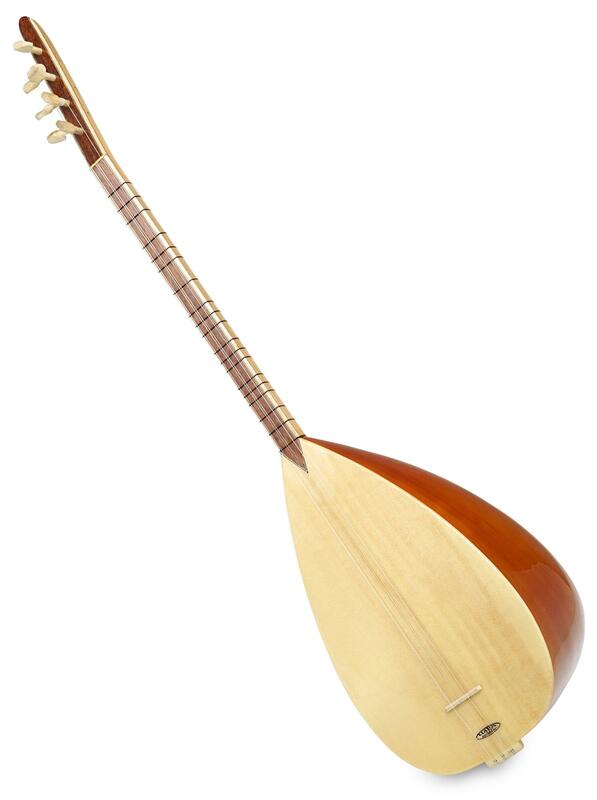 The SAZ-15 is a baglama with a body of mahogany and a beech neck which is responsible for its excellent sound characteristics. All woods have been dried for up to two years to ensure the best properties. 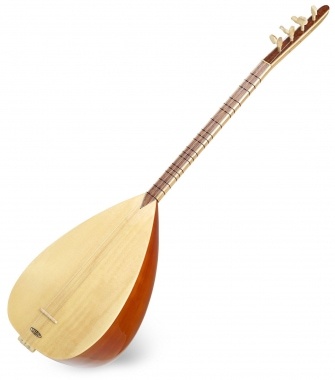 Whether for traditional sounds, folklore or rock/pop: this lute is very comfortable to play sitting thanks to its classic pear shape. The embellished ornamentation is quite pleasing to the eye. 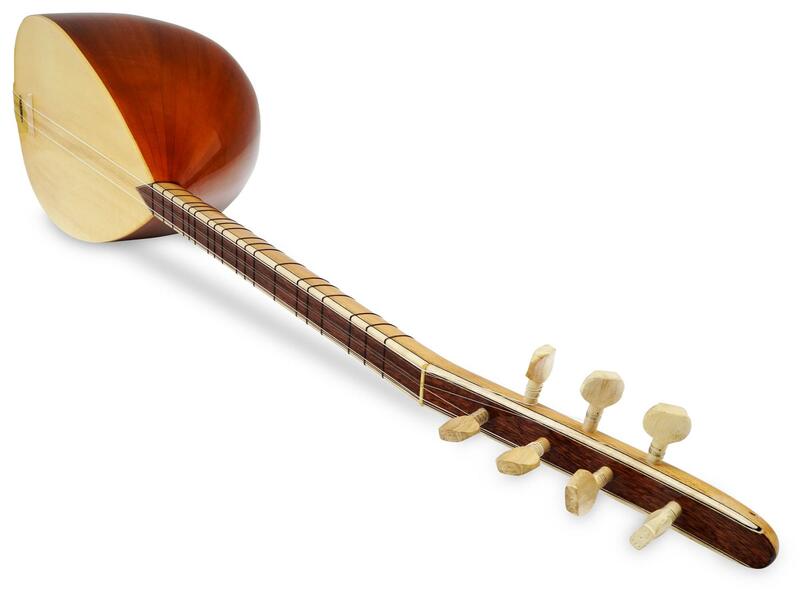 The Saz is usually played in two typical tunings: La-Re-Mi (A-G-D) (baglama düzeni - Baglama tuning) and La-Re-Sol (C-Bb-F) (bozuk or kara düzen - dark tuning). In this case, 2-3 grouped strings are tuned to the same pitch. To ensure that the instrument is always well protected, a high-quality carrying case is already included in the delivery. This allows the beautiful instrument to be safely and easily transported to the next performance or stowed well when not used. L'instrument a un son très correct pour son prix. Il est relativement beau même s'il ne faut pas regarder les finitions de trop près. De mon côté, quand je l'ai reçu, les frettes n'étaient pas très bien positionnées, mais heureusement elles sont ajustables, ce qui permet de régler ce problème très facilement à l'oreille ou à l'accordeur. D'ailleurs, il tient bien l'accordage. Je ne regrette vraiment pas mon achat, je pense que pour pour le budget dont je disposais, cet instrument est vraiment le meilleur qui puisse se trouver. 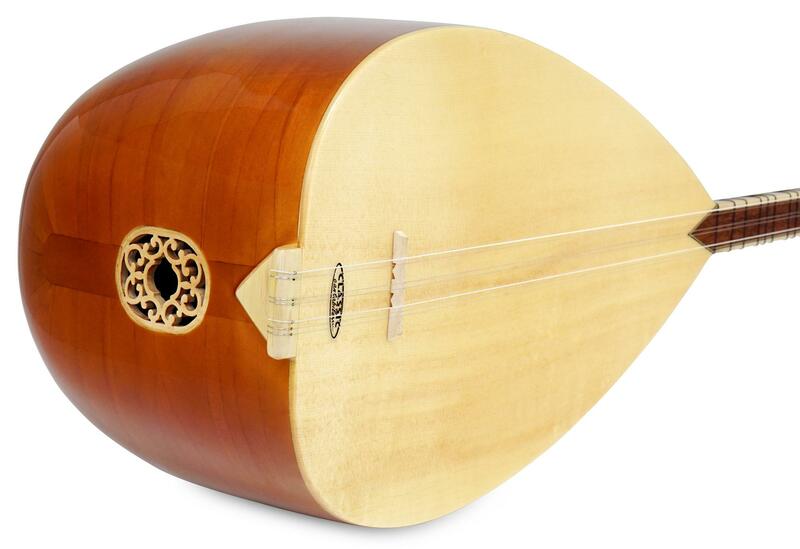 Als Kenner des Baglama kann ich nur sagen, haben sie ein nicht schlechtes Preis-Leistungs -Verhältnis. Ich spiele seit über 30 Jahren die Baglama und kann nur sagen das dieses Musikinstrument von Kirstein ein mitelmäßiges ist .Ich hätte für mehr Geld zugar ein noch besseres bei ihnen gekauft, wenn ich die Gewissheit hätte, dass es das Geld wert ist und keine versteckten Mängel gibt .Vielleicht brauche ich auch ein profesionellere Baglama .Bei vielen Musikgeschäften wird man nur übers Ohr gehauen. Die Zahlungsabwicklung über die externe Firma Clarna sollten sie noch mal überdenken.